In our first meeting of the academic year, we’ll discuss identity management, a potential rebranding and reimagining of the authority control services that cataloging and metadata specialists provide. All are welcome to participate! Developments in linked library data simultaneously elevate the importance of and challenge long-held notions concerning authority control. Initiatives such as ORCID, ISNI, and VIVO are minting and maintaining authority files for researchers and content creators. Catalogers have performed machine-processable authority control for many decades. The phrase “identity management” has been suggested as a replacement for the phrase “authority control,” which refers to the task of maintaining authority files in order to collocate and disambiguate access points in bibliographic records. Rebranding authority services may help administrators understand the importance of authority work as performed by catalogers. However, is relabeling our work (and our job titles, and our departments) enough? In a world in which our users create and publish content at a rapid pace, what opportunities exist in a reimagined identity management service? What might an identity management service look like? How do we market our expertise and update our skill sets to meet the demands of the new data infrastructures we hope to leverage for richer discovery? There’s no list this time! The article below–a 10 minute read–is written from the point of view of a web content strategist. In the context of serving web users’ information needs, the article addresses the growing pains associated with a shift to structured data on the web. How are the issues discussed relevant to libraries? How is Schema.org Helping Libraries Expose Their Resources? At the upcoming March 25 meeting, the group will explore what it means to do business on the web scale. This post is the second in a series of two blogs posts on the topic of making metadata scalable for the web. You can read the first post here. There are numerous announcements peppering the web that library systems are now incorporating Schema.org to enhance search engine optimization (SEO). VuFind, an open source ILS developed and maintained by Villanova University’s Falvey Memorial Library, recently released VuFind 2.2 with Schema.org microdata integration for their OPAC. Exciting times, right? So how exactly is Schema.org enhancing the discoverability of a library’s collection via a web search? I was able to locate three libraries from a list of websites using Schema.org. George Washington University Libraries is using Schema.org on their FindIt library service. 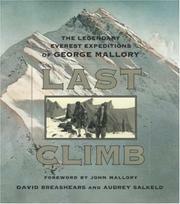 I discovered the following Breashears & Salkeld book: http://findit.library.gwu.edu/item/3491155. The Goodreads result shown below was the second item generated from my Google search. Goodreads does use Schema.org—as you see the search generated more enriched data (i.e. ratings, stars, votes, summary, breadcrumb links). Unfortunately, I didn’t see any libraries that had unique information (holdings) display in my Google search—including WorldCat. Ditto for my Bing and Yahoo! searches. I applaud folks like those at GWU Libraries who have jumped in and implemented Schema.org. Why don’t you give it a shot and search for your favorite or most dreaded work. Any luck seeing value added data to your search results? Posted on March 14, 2014 March 14, 2014 by Author Rachel Wheeler Posted in Categories Metadata in the News, Resources | Tagged: Tags schema.org, web metadata | 2 Comments on How is Schema.org Helping Libraries Expose Their Resources? In our next meeting, we’ll discuss how businesses and libraries are leveraging microdata and Schema.org to drive traffic to their websites. All are welcome to participate! MODERATOR: Jennifer Liss with special guest, Rachel Wheeler! Each of the resources below may be watched or read in under 30 minutes. In addition, Rachel and Jennifer will be blogging background information on this topic during the week of March 10. Of interest to me lately is how non-LAMs communities define metadata. This is increasingly import as libraries, archives, and museums make more resources and services available on the web. Will our metadata play well with others? A great introductory post about content strategy by Anne Haines led me the Brain Traffic site, where I stumbled upon “An Intro to Metadata and Taxonomies.” The article covers very basic concepts* but is worth reading through to the end for a brief bibliography highlighting papers, talks, and blogs from content strategists who deal with metadata for objects on the web. * For those who are doing a close reading of the article, LAMs define structural metadata more narrowly as information about how resources (especially compound resources, like a book) is organized or sequenced.